We appreciate your interests in Intracoastal Yacht Sales and we look forward to working with customers like you who are as excited about boating and yachting as we are! Whether you are selling, buying, or need service, we are here to look after your best interests. Proper business ethics and “doing what’s right” make it enjoyable for you to trust us to manage your yacht. We are personalized service at it’s best, working hard to build long term relationships with you. Our focus is to assist boaters with the purchase or sale of their powerboats. All our yacht owners are trained and educated on the handling and systems of their new vessel as part of our service. We want to make sure your experience with us is easy by being thorough with your needs. Through aggressive internet marketing, publication ads, and our long term networks we also have the resources to get your yacht sold! Our experience allows us the understanding of the market place. 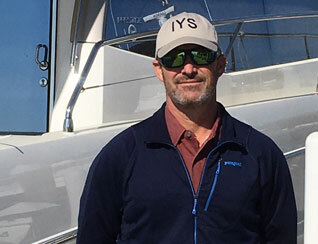 Originally born in Greensboro NC, Ric now has 17 years experience in yacht brokerage sales, and over 21 years experience in the NC marine industry. Capt. Ric Graduated from UNCW in 2002 and was immediately hired by a local Yacht Dealership where he was successful in his efforts for over 5 years. In 2007 Capt. Ric started Intracoastal Yacht Sales to focus solely on brokerage vessels. The business quickly grew and 2 more locations were soon added. Capt. Ric became recognized as a Certified Professional Yacht Broker by the Yacht Brokers Association of America in 2011, achieved his Capt. License in 2010, and became a certified Divemaster in 2007. Diving and boating combine Ric’s 2 favorite hobbies! His success comes from putting the customer’s needs first. He prides himself on honesty, a positive reputation, and building long term relationships with his customers. 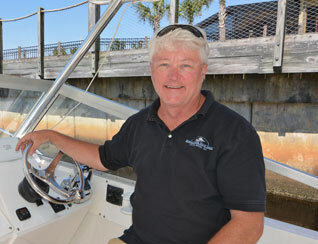 Captain Bobby Gregory has been an avid boater all his life. He owned his first boat at the age of 10. He got into the yachting business as a hobby delivering yachts up and down the east coast for dealers and yacht owners. He is a native of Charleston and earned a BS degree from the College of Charleston. He has been a US Coast Guard licensed Captain since 1998 and is proficient at boat handling and navigation. Captain Bobby’s boating skills come in handy when selling a boat to a new boat owner and he prides himself on going “the extra mile” to assist his buyers and sellers with any aspect of boating that they may need help with. He has earned his reputation of being “the hardest working yacht broker in Charleston.” His office is conveniently located at the Charleston City Marina, statute mile marker 467.5 on the Atlantic Intracoastal Waterway. An avid boater and certified “Boat Nut” for over 30 years, Doug has been selling and servicing his Boat and Yacht customers professionally since 1995. A licensed USCG Captain since 2000, his experience and training have come from the leaders of the industry, Sea Ray, Cruisers, Carver, Marquis, Meridian, Boston Whaler, Ocean, Mainship, Donzi, Jefferson to name a few. His experience in Brokerage sales means hands-on experience and in-depth knowledge of many, many others from Express Cruisers to Sport Fish, Motor Yachts to Trawlers. “Experience has taught me that product knowledge is important, but it is no substitute for customer knowledge and good service. I genuinely enjoy the process of establishing a satisfied customer, Buyer or Seller! I would appreciate an opportunity to add you to that list. Robert Sparkman – Robert has been a member of the boating community since he was 7 years old on the TVA lakes of Tennessee. It was such a passion for him, he joined the US Coast Guard out of high school. After getting out of the Coast Guard Robert got an engineering degree at Tennessee Tech and had a career as a sales executive with Lockheed Martin Commercial Systems Integration and Advanced Concepts Center. 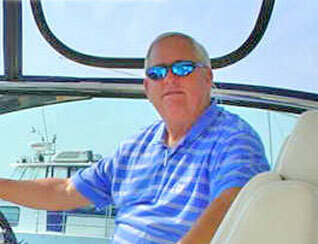 After early retirement with Lockheed Martin he got back into the boating industry in a big way as a Yacht Broker. That was 15 years ago. His passion for the boating lifestyle is quite beneficial to assisting his customers with finding just buying the right boat for their boating plans. His service does not stop there, but extends into how to connect with the boating lifestyle that turns them into boaters for life. Where to dock, how to travel, how to enjoy life on the water and introductions to like-minded friends that support them in learning how to have fun and how to be safe in their boating experience is all part of the service. In buying and selling Robert relies on his executive experience with Lockheed Martin to make certain what can be a daunting experience is rather a pleasure for his customers. Come join him on the adventure. Capt. 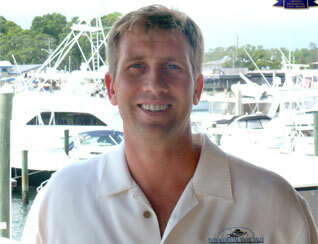 Greg Weiss brings over 20+ years marine industry sales experience to the company. Selling and operating yachts throughout his career has enabled Greg to become experienced with a wide range of yacht sizes and manufacturers. During this time, he has established a network of marine industry professionals that contribute to his boating knowledge and success as a professional yacht broker. He provides quality and professional services to his customers that go beyond the sale, making sure his clients have a pleasurable and memorable experience. 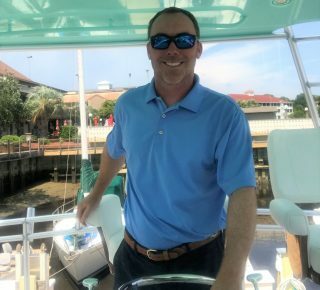 He joined the Intracoastal Yacht Sales team in Charleston in January of 2017. Capt. 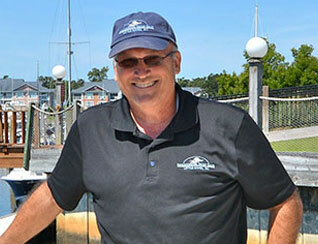 Greg Weiss is a member of the American Professional Captains Association & Coastal Conservation Association. He is an avid outdoor enthusiast, and enjoys spending valuable time with his beautiful wife, Keely and his two sons, Lars & Liam. College of Charleston 1994 B.S. USCG Master Captain since 2001. Capt. Brigitte brings a lifetime of experience to Intracoastal Yacht Sales! Born and raised on the ICWW of Ft Lauderdale, boating always came naturally to Brigitte! She graduated from Massachusetts Maritime Academy in 2009 with a Major in Marine Transportation and a Minor in International Maritime Business! She also earned her Chief Mate Unlimited, 1600 Ton Masters Captains License. Brigitte’s past experience include Maritime Professional Training, Safety Coordinator at the NC State Port Authority, and also has lived and work offshore for one of the big drilling companies! 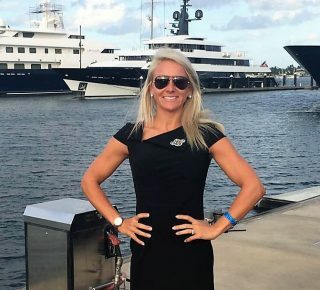 She is a welcome addition to Intracoastal Yacht Sales, with more marine experience than most of you “old salts” out there! From Jet skis to 80 foot Sport fishers, Captain Ryan Powers has been on boats and around the water all his life. He has been a US Coast Guard licensed Captain since 2002. Ryan Graduated from Coastal Carolina University in 2003, and has been running a Private 63’ Bertram Sportfish since 2006. He brings over 23 years of experience in the marine industry and has traveled all over the South East to the Florida Keys and Bahamas. He prides himself in his knowledge of boats and operating systems through his hands on experience and loves nothing more than finding customers the perfect boat for their needs.